I am a big muffin fan. They are a staple in our house. 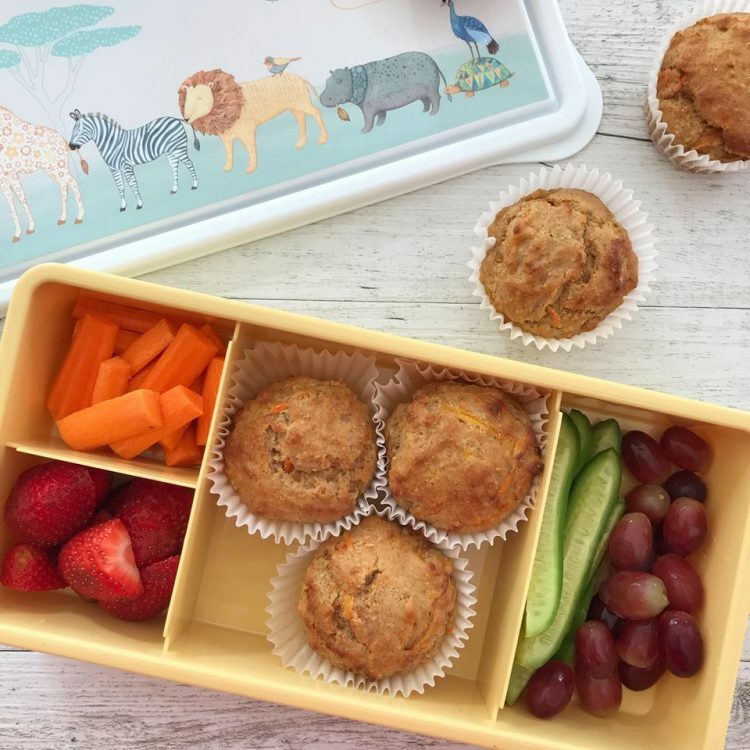 They are generally freezer friendly so they are super convenient for lunchboxes and they also make great snacks or breakfast on the move. But you do need to make sure the muffin in question is actually sustaining and wholesome if you are serving them for breakfast! And these Wholemeal Carrot Muffins fit that brief. Low in sugar, but high in fibre and packed with protein too. These Wholemeal Carrot Muffins are perfect for keeping little tummies full. I really love making muffins. 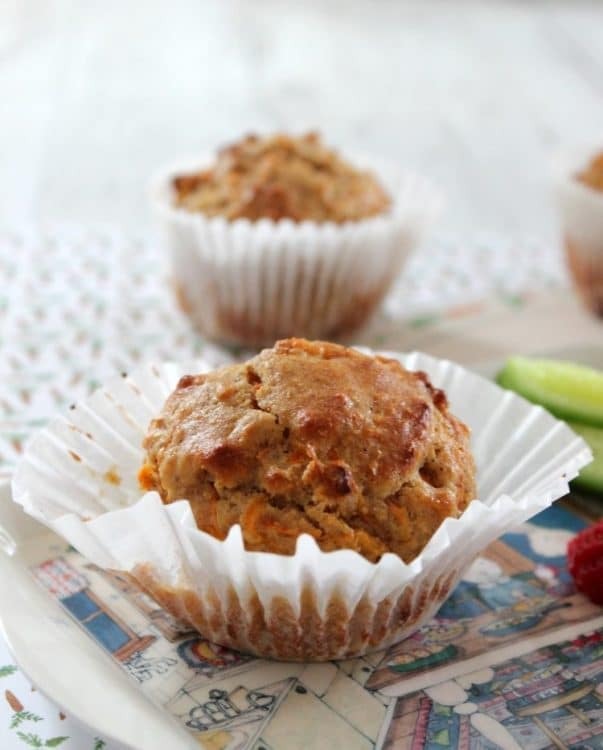 And like my other muffin recipes these Wholemeal Carrot Muffins are so quick and easy. They are a great recipe to get your kids in the kitchen and helping you. Do you bake with your kids? It’s something I really enjoy doing. Last weekend over on my Facebook group I did a live of making my Fruit and Chocolate Chip Muffin Tin Pancakes and I really had to think about the best way to film, and get baking without completely loosing the plot and embarrassing myself. And I think I did a good job! And a big part of the success was prior preparation. Before going live I prepared everything I needed. And while crucial for live filming I also do this when baking with kids on an ordinary day. I need to make sure that I have everything to hand so that I did not have to run back to the cupboards while my helpers decided to go rouge while my back is turned. 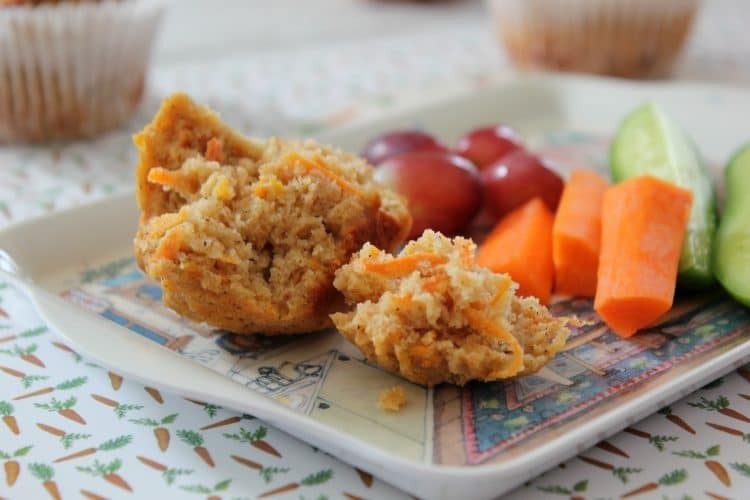 Nut free, protein packed these Wholemeal Carrot Muffins are perfect for school lunches. Bake for around 15 minutes or until cooked through and a skewer inserted into the centre of the muffin comes out clean. 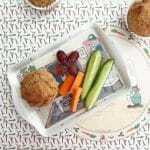 I hope you enjoy these Wholemeal Carrot Muffins. If you are looking for other muffin recipes why not try these delicious Chocolate Chip Muffins with Zucchini or for an allergy friendly option why not try these gorgeous egg and dairy free Apple Cinnamon Muffins. What kind of oil should we use? Is coconut ok? Can we omit the sugar completely? Can I use plain wheat flour and add baking powder or baking soda? 2 tsp of either of it?